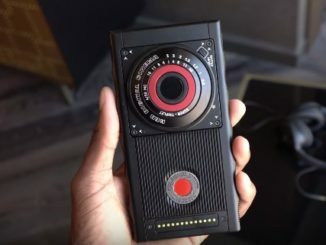 Ever since teasing the faithful with vague images last fall, Jim Jannard has been dropping small details about the RED HYDROGEN ONE smartphone, like breadcrumbs. But as the design is close to locking into place, he’s given us a more comprehensive description of what this smartphone can do. And, it’ll ship this summer! For audio, HYDROGEN ONE will have multichannel spatial sound either through the phone’s internal stereo speakers, or via custom designed headphones. 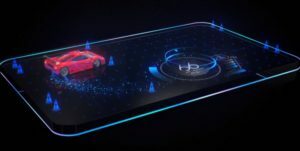 And while Jannard stopped short of offering any benchmarks for the audio quality, he did say they are as high for the marks given to the 4V holographic display. 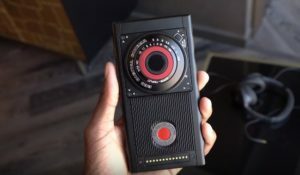 Jannard went on to say that through a unique pogo pin system on the back of the device, users will be able to connect power and data in both directions from RED cinema cameras as they are stacked on the back of the camera. 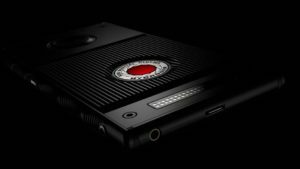 The heart of HYDROGEN ONE is the latest Qualcomm Snapdragon 835x processor, which will be either be unlocked or carrier specific depending on the user. There will also be a dual SIM slot, so users can operate two phone numbers, a microSD card slot and USB-C connector port. For battery life, since HYDROGEN ONE has a slighter thicker design than most ultra thin smartphones, RED has added a massive 4500 mAh internal battery for day long use. Moreover, Jannard went on to say that content creators will be able to shoot in both 3D and 4V on either the front facing or rear camera, and that HYDROGEN ONE will also create a 2D companion video file so users won’t have to re-encode. 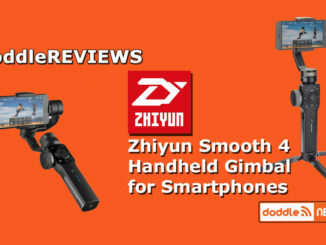 Jannard said that 4V video will have the same great resolution as 2D video, but offers a different kind of perception that just can’t be conveyed with a stock product shot. 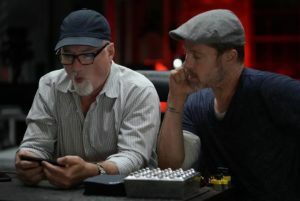 Jannard also said that 2D files will be sharable, but that the real value to mobile filmmakers will be through the 4V files and that RED is securing social media partners, along with a YouTube-like portal for users to set up their own 4V channel to sell or provide content to view for free. Jannard went on to say that carrier support for HYDROGEN ONE will be across the board, with no exclusivity. But one of the reasons that it’s taking so long for the smartphone to reach the market is because each carrier has to certify HYDROGEN ONE before launch. As such, the official shipping date is generically listed as “sometime in the summer,” with preorder shipments sent first before that target window. Consequently, Jannard promises that updates will be coming fast and furious between now and then. 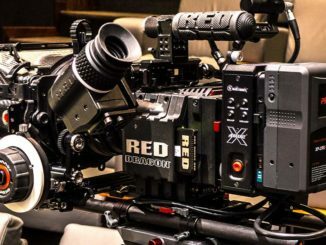 RED is even planning a HYDROGEN Day at RED Studios in Hollywood sometime in April, for hands on experiences, and the HYDROGEN ONE network will launch with a host of content producing partners to showcase 4V content. I’m hoping it doesn’t happen during NAB!